Insurance Companies use of force and intimidation includes Police. 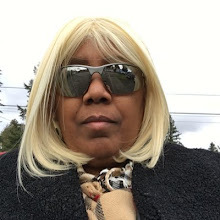 Seattle (ESTRA) - Imagine going to Police Station and asking for help only to be turned away multiple times. This doesn’t just happen on police television shows, but often by those attempting to report harassment at Police Stations. Ferguson is not the only community dealing with practices that are unfair to Main Street Citizens, whose voices are often silenced by the power of Wall Street money and protected by Law Enforcement day in and day out. What becomes more unbelievable is calling 911 to report harassers and told they aren’t individuals performing intimidation, only to later find out these people are agents of police working with public or private insurance corporations. Policyholders can go to multiple police precincts seeking help to no avail. Would Police treat Wall Street in the same way? I think not. Who do Police Officers truly protect and serve? You would think they are paid directly by these major corporations instead of Main Street Dollars by actions. How can police be impartial when they have already sided with Wall Street? Remember Occupy Wall Street’s efforts to support Main Street, bringing out average people wanting to stand up for rights which protect everyone. In fact, Occupy was making progress for change, while helping others to become viable parts of their respective communities. How were these citizens treated? Occupy was encountered disrespect, harassment, intimidation, especially those in leaderships roles on specific topics. Who was the tool used to create disenfranchisement, discouragement, and bullying to the point where many people gave up? You guessed it, police. It was the same when Martin Luther King, Jr. stood up for better Civil Rights Legislation for all people. It was true when Occupy Wall Street stood against Wall Street for excessive grabs of power and control of this country, which now allows them to do whatever they please without repercussions. In Ferguson, where it became clear for all the world to see, what supposedly had changed is actually same abuse faced daily by far too many American Citizens. This strategy of terror has taken place with the use of police officers for generations with no end in sight. Tragically, this also can be true for people involved in car accidents filing claims against Insurance Companies, whether public or private. These conglomerates own most of country, in fact, have spread wealth throughout many nations, leaving in their path, more destruction by using people to develop their goals without giving those helping to propagate their pockets fair wages, respect, and daily living opportunities that help fulfill worker’s dreams. And now, many are powerful enough to not pay out insurance claims for policyholders, because they can delay it for a decade and use police to discourage policyholders in pursuing their claims. I would challenge the content of their characters, their use power and money not only against Main Street, but using police as their personal force. Notice the keywords in this definition: empowered by the state or territorial area, enforce the law, protect property, legitimized police power, civil policing. Notice what is not there, promoting respect, honoring, car and concerns for communities, treating citizens with respect and dignity. Frankly, legitimized use of force is what we often see when justifying the death of too many American Citizens. What happens when the average citizen is hurt by this legitimate power? Trust is broken and belief of protection and serving those individuals betrayed can last for generations. Hope is lost in justice for all. When power and the law is not distributed fair and equally to all, human indignities permeate throughout society, not only to citizens, but also to police. Lost of life due to the lack of respect, is something on an individual level we can change. Look in the mirror today and think what you would like with different skin tones or dialects. Guess what? You would still be a human being deserving respect and dignity. When police no longer feel safe sitting in their patrol cars on street because of the threat of being killed, or increase risk of loss of life due to injustices many citizens face at the hands of this so call legitimized use of force, its obvious to see breakdown in trust between average person and police. Even with non-violence actions for change, police use their power to intimidate and harassed people just seeking what they deserve, their rightful place in communities. Occupy Wall Street was such an organization, Martin Luther Kings Jr. goal of equal civil rights for all was also met this legitimized use of force. Yet, vast numbers of citizens far outweigh law enforce numbers when standing for justice. We have seen this lately when citizens have overthrown governments who have become too corrupt. Perhaps this is the reason why many are developing militarized zones in local communities. Injustice is difficult for most people to swallow generation after generation. 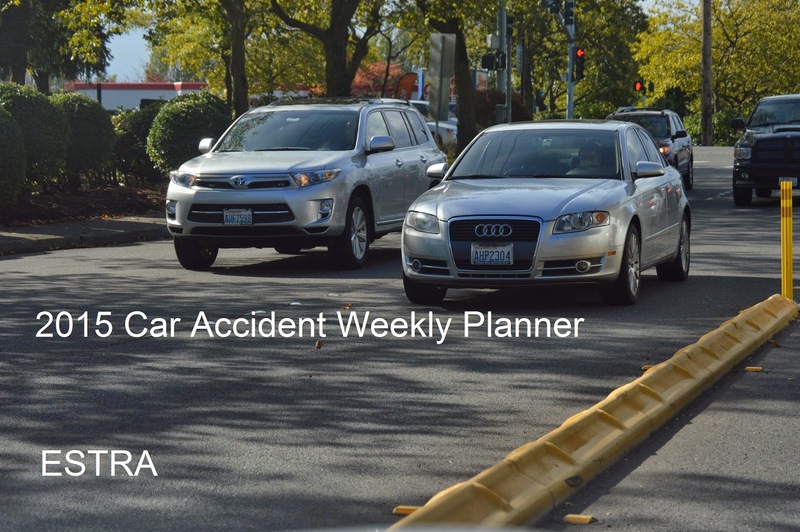 What about people involved in car accidents? How does the average citizen’s power compare to Wall Streets? Policyholders have little power and few resources. The strongest weapon Main Street has is their vote, which many do not use while Wall Street uses all their power and resources to maintain control over the U.S. which benefits a few instead of the whole country. These legitimate powers have been drawn up to protect them in most cases, at the expense of everyone else. First, insurance premiums provides them with capitol to control the people they need push agendas, such as police and politicians. Second, this gives them back the money from insured while being subjected to little risk, due to their ability to deny claims, and have paid lobbyist to ensure laws enforced benefit them. In my opinion, what does this create? More lawlessness, more injustice, and more distrust not only for police which protects insurance companies, employers, or any conglomerate public or private which can pay for their investment protections with on or off duty officers for example. Do you know who uses most private investigators? Insurance Companies. The goal is to eliminate insurance claims at all cost which sends a message of greed. Greed by some is viewed as all important over doing the right thing, even if it has been promised to policyholders. Only when police decide: The most important part of their jobs it to treat people with respect and dignity: End their practices of protecting wealth of Wall Street at all cost; Instead of protecting in their ranks who promote prejudices, hate, greed, and Wall Street interest, choose to remove them so healing can take place in local communities. When police truly begin to protect neighborhoods, people in those local communities will begin protecting them. Restoring honor citizens use to have for police could go a long way in resolving crimes. Wall Street choosing to create jobs over imaginable wealth would also go a long way in restoration of our economy, which frankly, they seem to disregard unless its constantly creating wealth for them. Does this mean people in communities doing the right things on both sides of this equation should stop? Absolutely not. It is these individuals who are the glue in our society today. Police are the ones still providing hope to discourage, and pulling in the reigns of Wall Street greed whenever possible. But it will take more than just police, it will take all of us choosing to do the right thing regardless what is going on in our lives. Sometimes this will mean standing up in difficult situations and not giving up when harassed or intimidated by insurance companies, employers, social security, long-term disability, or police. 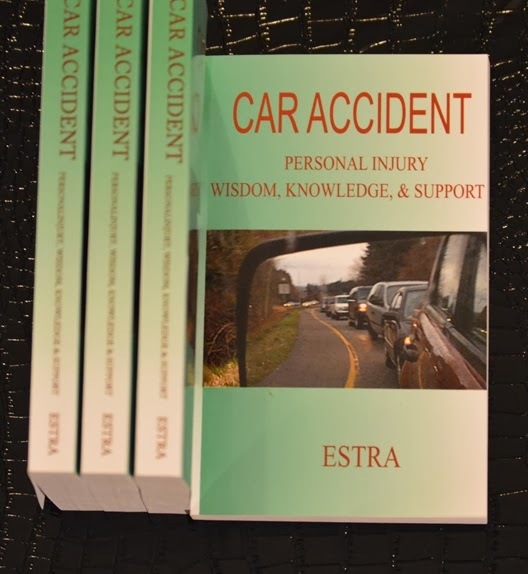 If I, ESTRA, were putting out a definition of Policing it would be as follows: Each and every person is responsible for their conduct whether on or off the job. It is your responsibility to correct any wrongs to the best of abilities and help others you see in need. Choose not to destroy lives of others for sake of wealth and power, choose instead to lift them up, which builds you up naturally. Respect for others makes them friends and not enemies, which builds a circle of neighbors who protect each other without fear of those with evil intent, because there are more good than bad people. This circle is further extended to police who don’t choose sides or enforce unjust and unfair laws to protect the interest of a few, but stand united with people from all walks of life who support lifting up others with respect and dignity. This circle is extended further by politicians who have more concerns in keeping their communities growing, housed, feed, and employed paying decent wages. And lastly this final circle encompasses military which continues support of strength and courage to protect the country’s average citizens, which they are primarily made up of, reinforcing doing the right things. When a society show a preference of care and concern versus degradation, in my opinion, it does more to make community a better place, leaving people with hope for a better life instead of dread and desperation. When people are incarcerated due to directional societal pressures resembling a rat’s maze leading to confusion and destructive ways, what else could be expected? These people are more than cheap labor for a penal colony. They have personal dreams and aspirations of their own, and should be provided this same opportunity as everyone else. Wall Street is far from pulling themselves up from their bootstraps, yet bootstraps have been taken away from Main Street at this point, with the help of Law Enforcement. This is not the type of policing which protects those who most need protections. In fact, it makes average citizens more fearful and least likely to provide the support police need at critical times from community. Behaviors by police also promote people injured in car accidents life of poverty by protecting the interest of Wall Street, participating in harassment and intimidation of insured. Again, more injustices are done by protecting Wall Street, than doing the right in policing Main Street. Policing took a turn for the worst with the 1033 Program which militarizes local police into combatants instead of law enforcement officers from a main street perspective. Ferguson Missouri Police brutality brought forth, front and center what this means to local communities. You saw what is done to average citizens when power and influence is brought into play. Ferguson may not be as smooth as other precincts in hiding this behavior, but there are many local districts statistics which are equal or greater to the city of Ferguson if one has the time and energy to look. I’m often amazed by people in Congress who are sent there every election to help the people, but end up helping mainly themselves and Wall Street. The National Defense Authorization Act provides all the ammunition necessary to turn our communities into war zones. And unfortunately, they have been successful for whom and why? In my opinion, to protect Wall Street through Police, which provides them will complete control and power over residence. When Wall Street is only bound by laws they create through the efforts of lobbyist, most of them will be against Main Street and for those with greatest wealth. Banking, Insurance, and Finance run this country. These huge conglomerates are running this country in my opinion, and have free reign to do whatever they please, especially when it relates to controlling money. Why else do you think wage stagnation has gone on for decades? Why do you think Insurance Companies feel they don’t have to pay out policyholders at all or wait for a decade? Frankly, we would be hard press to find justice in a system set up by financiers. The next time asked to sign a petition to protect and care for the needy, I suggest looking at the fine print. Much successful legislation presented is not what it appears to be, but as you would sign them. Trusting others to verify true intentions are a thing of the past. Own it and check it. Otherwise Main Street will wake of with few rights and fewer voting privileges allowing changes back to being fair for all. As for policyholders, much is already written into contracts signed. Few options are provided with less choices after filing an insurance claim. Can you tell difference between good and bad faith carriers? 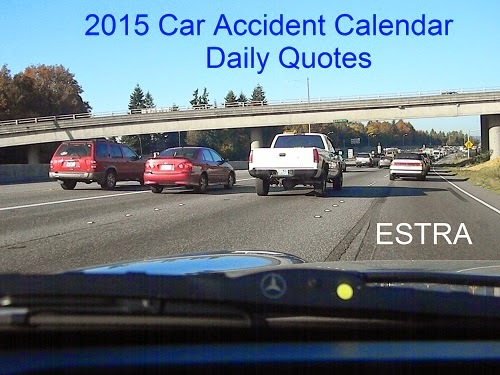 Most policyholders often find this out too late, after a car accident when resource options are few. Insured Civil Rights Legislation can change this with a Congress more interested in protecting individual rights. Is this the reason why they went to Washington D.C. to serve? I was sad to hear of Senator Harry Reid retirements and Barbara Boxer’s exiting. Will this only be the beginning? Has it gotten so bad in Washington, D.C. the cost of leading is too much? Perhaps a new circle of leaders is needed to bring forth good fruit. The fruits of decent wages, improved infrastructure, jobs, homes, education. I mean, if you look at what has been done lately by Congress, you might think President Obama and Wall Street is the only thing on their minds, and of course next election cycle. Also, don’t get too comfortable with those insurance commercials. Do they make you feel all warm and fuzzy, safety and security may only be a means to an end of receiving premiums. Being left in the cold should not be options for insurers to make, they would not allow you not to pay premiums and still be covered. They should not be able to say you are covered and then renege. Frankly, at this point in our society protecting and serving is primarily for Wall Street. A legitimized use of force for their laws created to protect ability to increase power, protect their property, and limit civil disorder who see injustice and seek change. I hope you will support protecting car accident victims by calling your Senator and saying, "Insured Civil Rights Legislation is important for Policyholders." Dial (202) 224-3121 today. In my opinion, this is not the type of policing Americans should be accepting. And you vote has a lot of power to change this if you will use it locally to federal elections. How much more are you willing to lose? 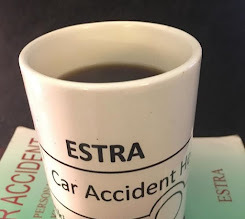 Insured Civil Rights Legislation can say no to bad faith insurance claims, no to ERISA legislation which allows employers to keep benefits, and no to police officer’s actions of being enforcers for Wall Street, thus, eliminating their participation in harassment and intimation of policyholders filing a claim. Do not be surprised by receiving no help from police against insurance harassment. Insurance Companies will quickly begin to cut off benefits to improve their position of power over your claim. Auto Insurance Companies will hire private investigators in hope to eliminate your claim and defend the position not to pay out on policy.